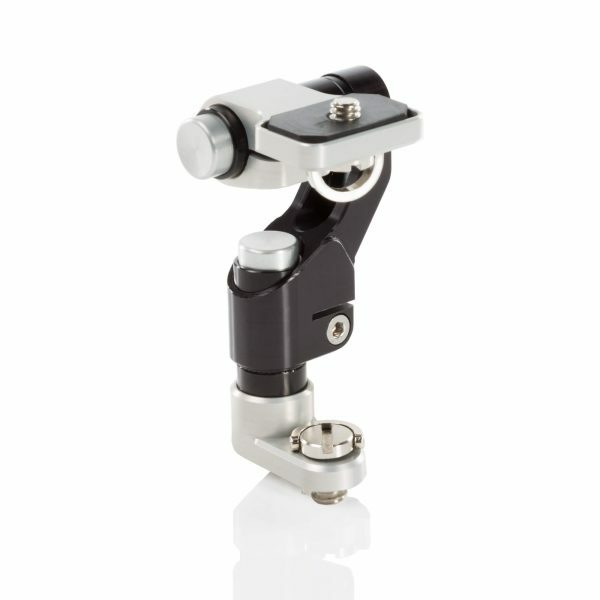 Our Push-Button Arm is the perfect device to mount your monitor to your camera rig. It allows precise and quick adjustments of your camera monitor with the help of the Push-Button technology. SHAPE is well known for its Push-Button Handles, now used by so many professionals in the industry. Our patented technology allows the user to make quick and easy adjustments by simply pressing the button. Doing so, you are allowed 360 degrees of rotation to place the accessories in the best position for your use. 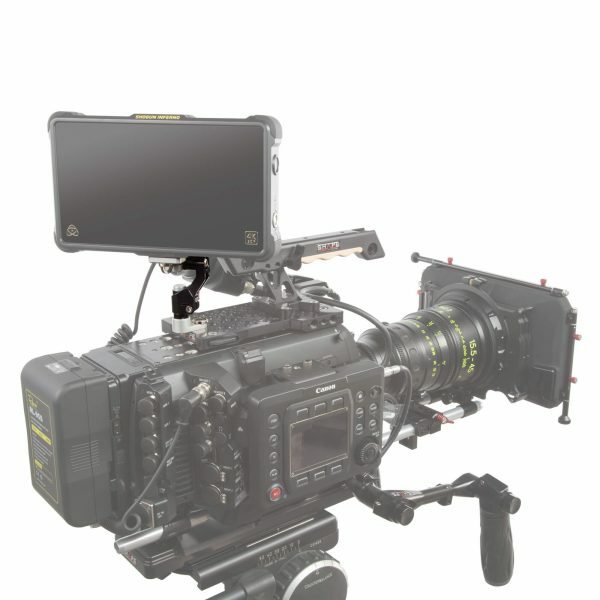 On this device, the camera support arm features 2 Push-Buttons, allowing you to make vertical and horizontal positioning adjustments of the camera accessory from the top or the bottom of the arm. Not too long to maximize strength but just enough to allow a comfortable manipulation of your camera accessories. The bottom section of the device features a 3/8-16 mounting screw allowing you to easily mount or dismount the arm to your camera rig. * Optional: You can also clamp the device to your 15 mm rods if you add our 15 mm Rod Bloc system to the bottom section (see the product sku RP215, 2 Axis Push-Button Arm 15 mm Rod Bloc). The bottom section features 2 stoppers (ARRI compatible locking attachment mechanism) to strongly fix the magic arm to the camera. The device weighs only 0.11 kg (0.25 lb) and is made from hard anodized aluminum with stainless steel screws to prevent rusting.